Today we have another photo from my trip to Wave Hill last week. Oh, and for my readers who are New Yorkers who commented that they'd like to go to Wave Hill...yes, it's definitely worth the trip. I usually go during the week, so I am not sure how it is on weekends, but I am sure it's still lovely even with a few more people. I thought it would be fun to take some pictures of flowers in B&W, since usually I rely on the beautiful pop of color with flower photos. I think it's pretty nice. 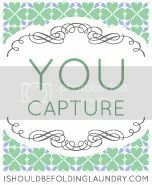 I just added a little shadow and rounded corner border. And here is another shot, SOOC, in the actual colors of these beauties. I like them because they are not perfect flowers...they are sort of battered and wrinkly in spots, just like real life. 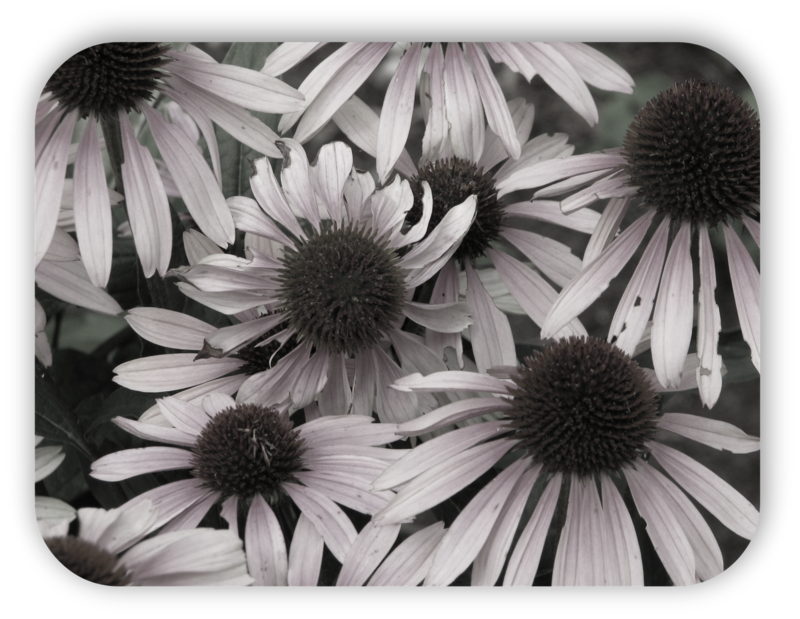 Interesting to see the purple cone flowers in black and white. When the flowers begin to age, the goldfinches love to feed on the seed heads. It's so funny to look out our window and see the skinny stems swaying to and fro from the weight of the bird! Beautiful photos. I can't decide if I like the color or black and white better. Great shots! loving the perfection of the imperfection! I really like the color one. They look super-real and really real all at the same time. It's a great photo. The B&W treatment really works. I'm an expatriate of NYC but I never heard about wave Hill. Is it in Bklyn? I also love the pop of color but have a soft place in my heart for B&W. Portraits I like best in B&W. Somehow that captures the face without distraction.